We are all fascinated by big stuff underwater, seriously who is not excited about a close encounter with a Hammerhead Shark, a huge Eagle Ray or even a friendly Sea Turtle. With its endless drop off and healthy reef, Roatan has so much to offer but it is certainly not all about big stuff. 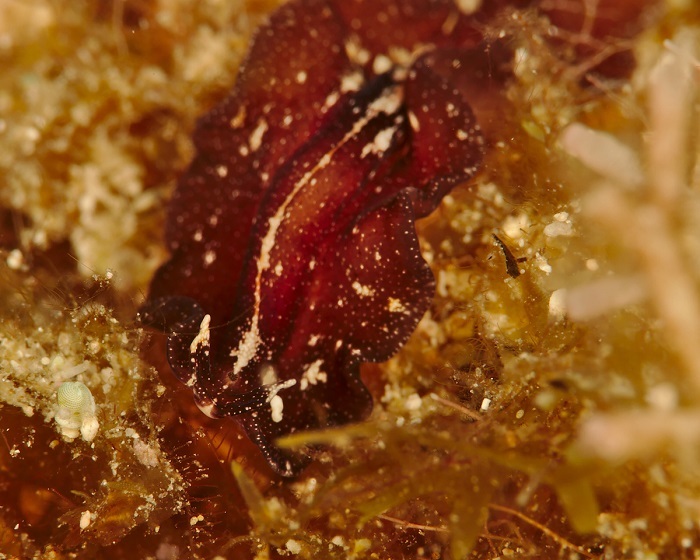 Roatan is also a famous destination for Macro Diving. But what is Macro Diving? Have you ever been diving with an underwater photographer, seeing him taking pictures of something on a piece of coral and when he finally goes away to look for the next subject, you decide to go check it out… But wait what was on this piece of coral? … you have no idea, you can’t find anything. Later after the dive, you go ask the photographer what he was looking at and he answers: “OH! Yes, that was a mantis shrimp. He was hiding in a hole." 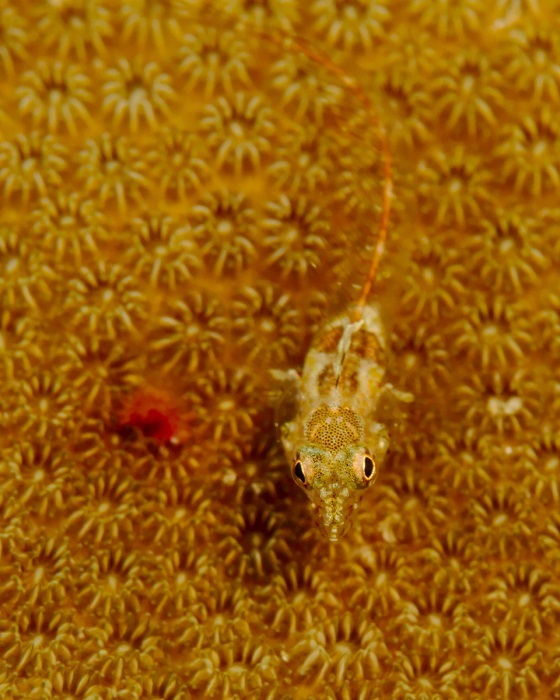 This is it… Macro diving… Macro means large magnification so for the underwater photographers, it is all about taking close up pictures of small and tiny critters with macro lenses. Roatan has so much to offer, and no matter if you have been diving on this reef for years or only for a couple days, part of being able to find small critters is knowing where to find their habitat. A good way to learn more about it is to choose the Underwater Naturalist or the Fish Identification Dive while you are completing your Advanced Open Water Course. Also make sure to have a look to the book Caribbean Reef Life which is a reference for all of us Divemaster and Instructor in Roatan. The author, our friend Mickey Charteris makes it so easy by adding in the description of each species where to find it. Here is a little selection of pictures taken during the last week by our friend Kal Lin. Often him and Mickey jump on the boat and spend the whole dive near the mooring line taking pictures and macro diving... the results are amazing! Thanks to Kal for sharing these pictures with us!